Therefore, from Eq. (3.11), we have the following. The difference between this value and the one obtained in Example 3.2 is only 4.6%, but the latter was obtained with much less effort. Equation (3.31) can also be used to give the amount of useful energy delivered in joules (not rate in watts), if the irradiance Gt (W/m2) is replaced with irradiation It (J/m2) and we multiply UL, which is given in watts per square meter in degrees Centigrade (W/m2-°C), by 3600 to convert to joules per square meter in degrees Centigrade (J/m2-°C) for estimations with step of 1 h.
1. The collector is in a steady state. 2. The collector is of the header and riser type fixed on a sheet with parallel tubes. 3. The headers cover only a small area of the collector and can be neglected. 4. Heaters provide uniform flow to the riser tubes. 5. Flow through the back insulation is one dimensional. 6. The sky is considered as a blackbody for the long-wavelength radiation at an equivalent sky temperature. Since the sky temperature does not affect the results much, this is considered equal to the ambient temperature. 7. Temperature gradients around tubes are neglected. FIGURE 3.26 Radiation input and heat loss from a flat-plate collector. 8. Properties of materials are independent of temperature. 9. 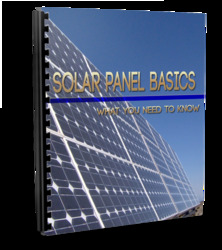 No solar energy is absorbed by the cover. 10. Heat flow through the cover is one dimensional. 11. Temperature drop through the cover is negligible. 12. Covers are opaque to infrared radiation. 13. Same ambient temperature exists at the front and back of the collector. 14. Dust effects on the cover are negligible. 15. There is no shading of the absorber plate. 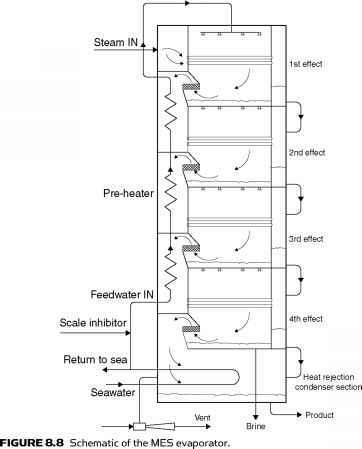 The collector efficiency factor can be calculated by considering the temperature distribution between two pipes of the collector absorber and assuming that the temperature gradient in the flow direction is negligible (Duffie and Beckman, 1991). This analysis can be performed by considering the sheet-tube configuration shown in Figure 3.27a, where the distance between the tubes is W, the tube diameter is D, and the sheet thickness is 6. Since the sheet metal is usually made from copper or aluminum, which are good conductors of heat, the temperature gradient through the sheet is negligible; therefore, the region between the center line separating the tubes and the tube base can be considered as a classical fin problem. FIGURE 3.27 Flat-plate sheet and tube configuration. (a) schematic diagram. (b) Energy balance for the fin element. (c) Energy balance for the tube element. This equation gives the temperature distribution in the x direction at any given y.
where hfi = heat transfer coefficient between the fluid and the tube wall. The bond conductance can be very important in accurately describing the collector performance. Generally it is necessary to have good metal-to-metal contact so that the bond conductance is greater that 30 W/m-K, and preferably the tube should be welded to the fin. The collector efficiency factor is essentially a constant factor for any collector design and fluid flow rate. The ratio of UL to Cb, the ratio of UL to hfi, and the fin efficiency, F, are the only variables appearing in Eq. (3.48) that may be functions of temperature. For most collector designs, F is the most important of these variables in determining F'. The factor F' is a function of UL and hfi, each of which has some temperature dependence, but it is not a strong function of temperature. Additionally, the collector efficiency factor decreases with increased tube center-to-center distances and increases with increase in both material thicknesses and thermal conductivity. Increasing the overall loss coefficient decreases F', while increasing the fluid-tube heat transfer coefficient increases F'. Overall loss coefficient = 6.9 W/m2-°C. Tube spacing = 120 mm. Tube outside diameter = 15 mm. Tube inside diameter = 13.5 mm. Plate thickness = 0.4 mm. Plate material = copper. Consider an infinitesimal length 6y of the tube as shown in Figure 3.28. The useful energy delivered to the fluid is qu 8 y. FIGURE 3.28 Energy flow through an element of riser tube.